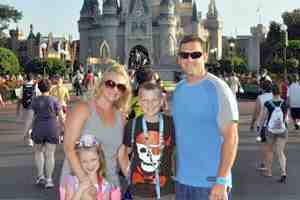 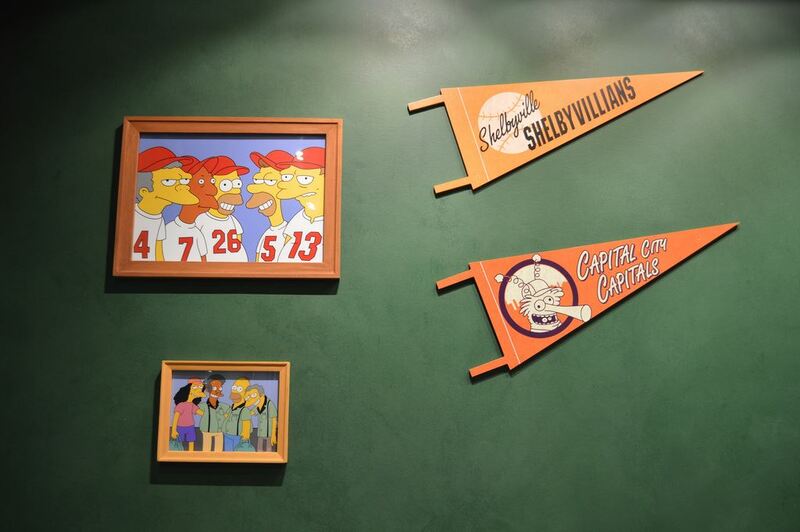 Universal Studios Florida in Springfield: Home of the Simpsons, attached to Fast Food Boulevard. 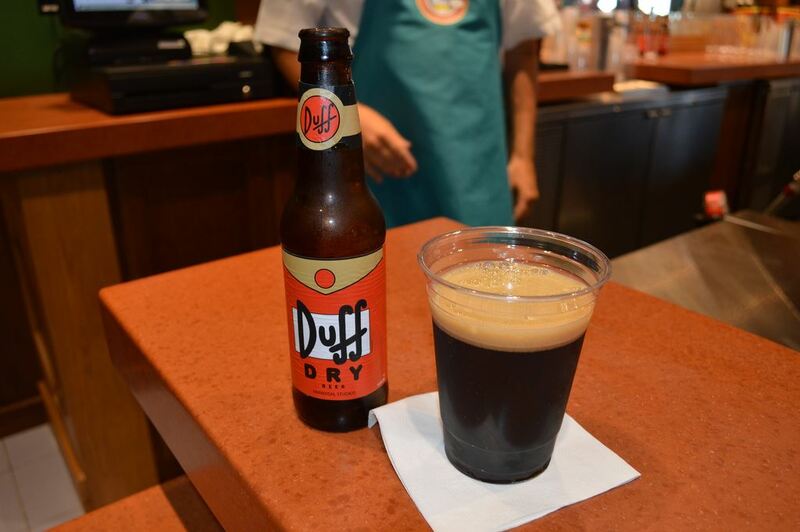 Grab a Duff beer (regular or Duff Light on draft or bottle, Duff Dry in a bottle only) or a Flaming Moe from this replica of Homer and Barney's haunt from The Simpsons television series. 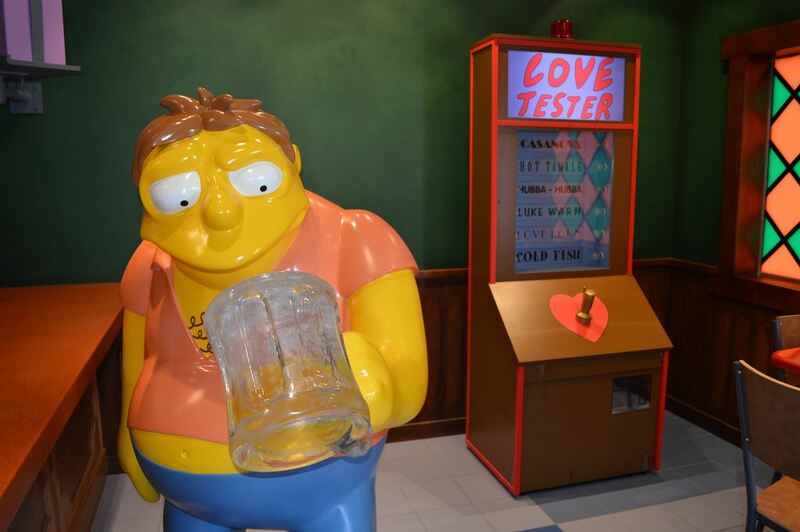 Filled with nods to the TV show, there's a large photo op with Barney himself along with a working Love Tester. 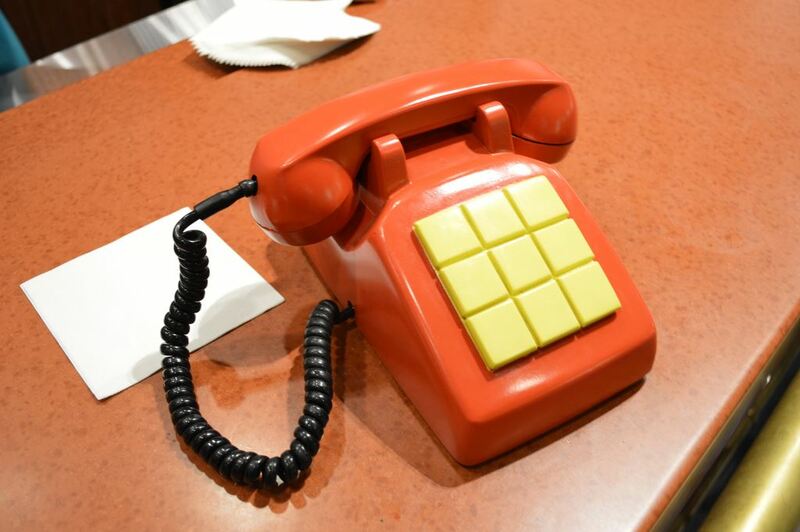 If you're lucky and sitting by the red phone on the bar top, you just may happen to take in a prank phone call. 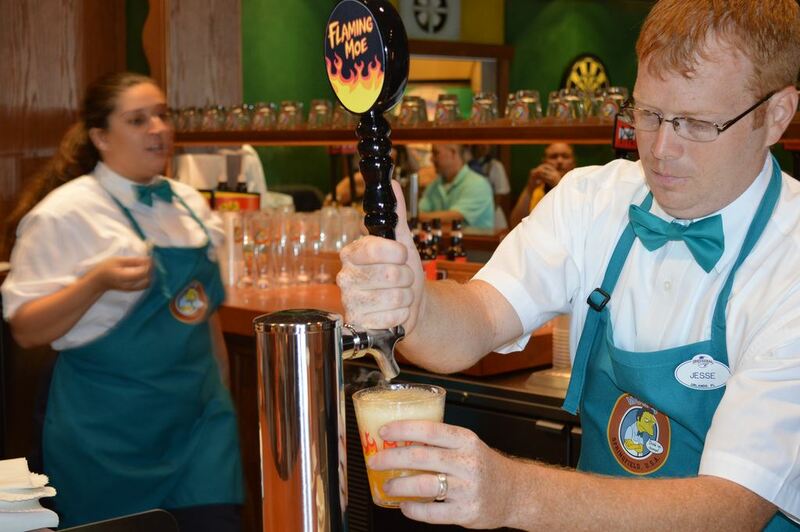 The Flaming Moe drink itself is the first signature drink "experience" we have seen to date. 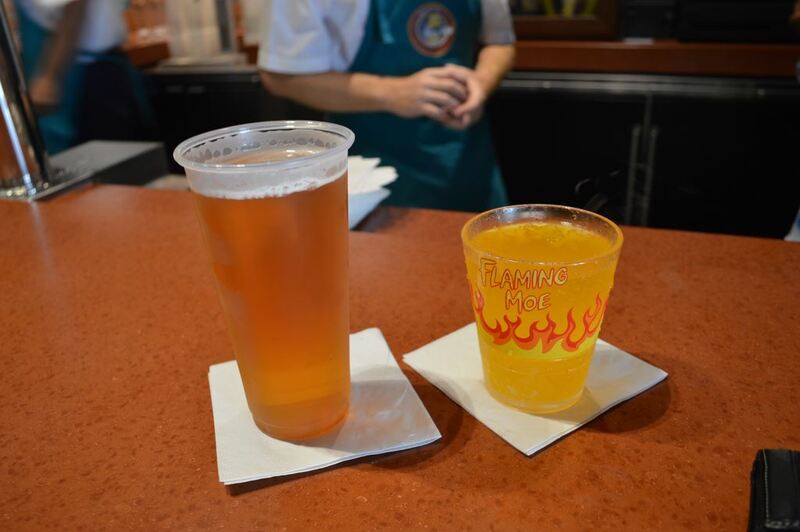 Pricey at almost $8 each, a Flaming Moe does come in a souvenir glass which does a good job hiding dry ice via a separate compartment. 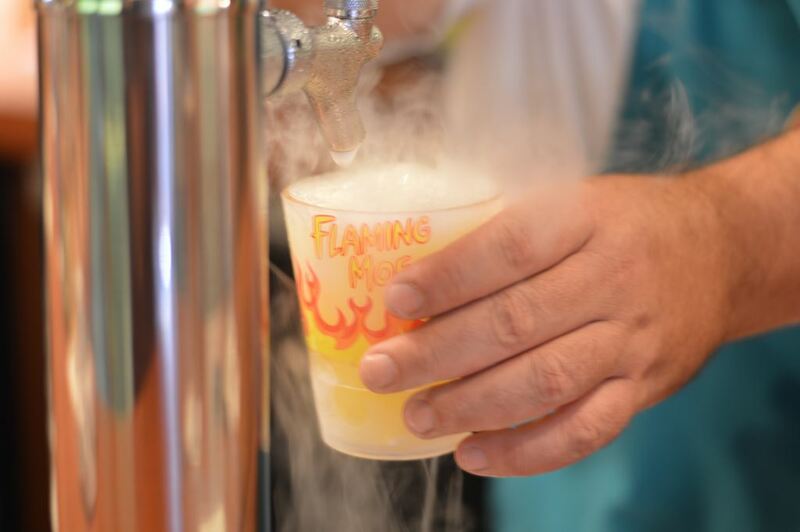 When you are served the orange soda-tasting drink, it bubbles up with smoke billowing out, giving a really good representation of being on fire. 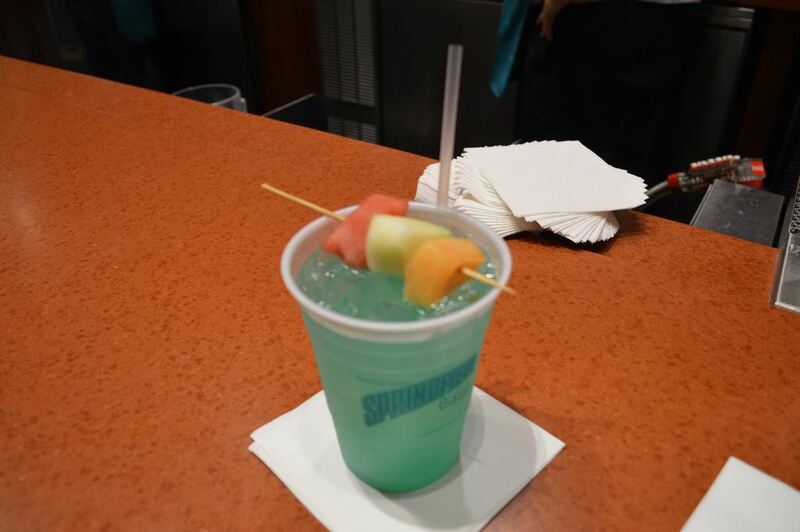 The Flaming Moe is non-alcoholic and sure to be a hit with the younger set when they see it for the first time.